At the beginning of February, Professor Mark Brown was welcomed to Dublin City University as Ireland’s first Chair in Digital Learning and the new Director of the National Institute for Digital Learning. Mark was previously the Director of the National Centre for Teaching and Learning and Distance Education and Learning Futures Alliance (DELFA) at Massey University, New Zealand. Mark has over 20 years experience in higher education but originally trained as a primary teacher. His main research interests are in the areas of teaching and learning development along with online, blended and distance learning. He has a particular interest in learning design, the nature of teachers’ work, and the forces and tensions underlying educational policy. A notable feature of Mark’s research is his deliberate effort to ensure work is globally connected but also locally relevant. Professor Brown serves on several international journal editorial boards and is widely published. 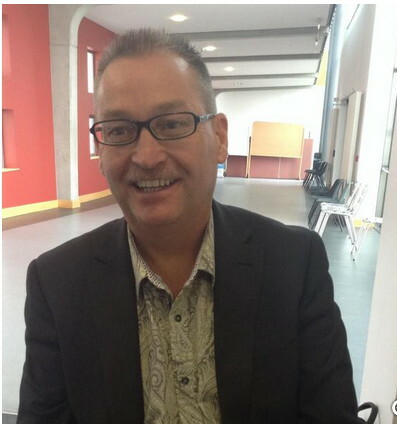 Prior to his arrival at DCU Mark was President of the New Zealand Association for Open, Flexible and Distance Learning (DEANZ) and he remains Treasurer and an executive committee member of the Australasian Society for Computers in Learning in Tertiary Education (ascilite). Ascilite is the peak professional body for digital learning in Australia and New Zealand. Mark is a recipient of a National Award for Sustained Excellence in Tertiary Teaching and member of the New Zealand Academy of Tertiary Teaching Excellence.